Every track on his seminal debut album Worlds (Astralwerks, 2014) has been reworked (in order) with remixers hand-selected by Porter including ODESZA, Mat Zo, Galimatias, Chrome Sparks, & more. 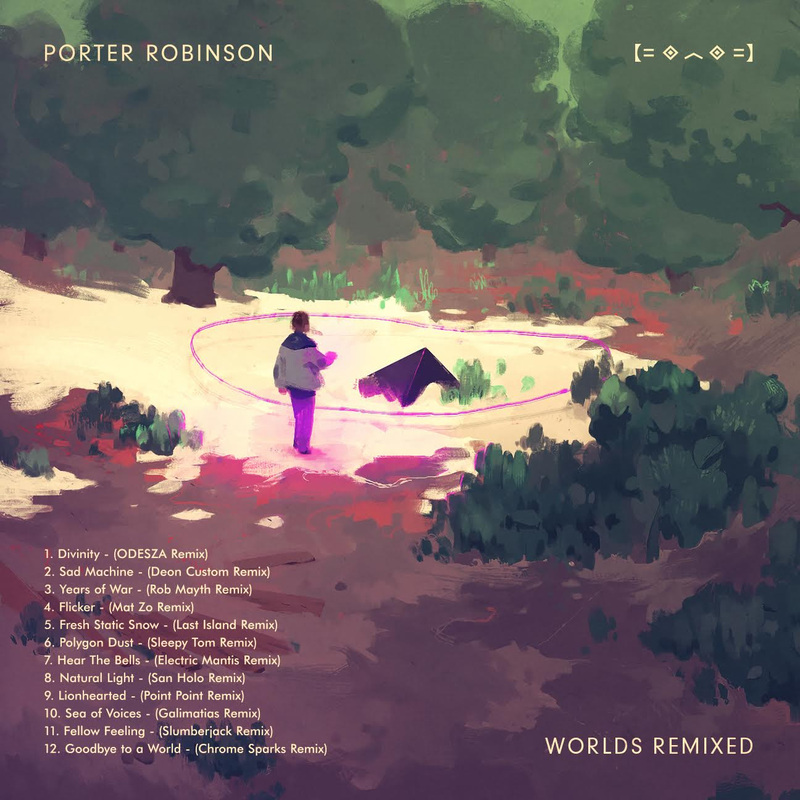 Worlds Remixed is the next step in the continued evolution of Porter Robinson’s conceptual Worlds vision. Robinson’s high-concept, multi-faceted Worlds endeavor includes the groundbreaking debut album (released August 2014 via Astralwerks), the technologically ambitious interactive live show (which returns to the U.S. this weekend, dates below), and recent design collaboration with Japanese streetwear brand Galaxxxy (which sold out within hours of Porter announcing it via Twitter last week). The resulting debut album Worlds shook the electronic music community to its core and expanded the definition of the genre upon its release. A deeply personal journey through textural synth-pop, it has been called “gorgeous” (New York Times), “delightful” (Rolling Stone), and “imaginative” (NPR). Designed in collaboration with music technologist and artist Laura Escudé aka Alluxe (Kanye, Jay Z, Yeah Yeah Yeahs, Drake) with visuals crafted by ILN (Invisible Light Network) and edited by video artist Ghostdad, the Worlds live show integrates visual and sonic elements into a hyperreal, video-game fueled dream come-to-life with Porter at the helm. With more than 40 million album streams under his belt, plus 100,000+ in ticket sales for live headline performances & triumphant appearances at festivals across the globe this summer, Porter Robinson continues to refine (and redefine) his overarching vision forWorlds.